Drivers who are stopped on suspicion of driving under the influence (DUI) of drugs or alcohol might be aware that law enforcement will have them undergo certain testing procedures to test for intoxication and to determine their blood alcohol content (BAC). These can include field sobriety tests, breathalyzer tests and blood tests. 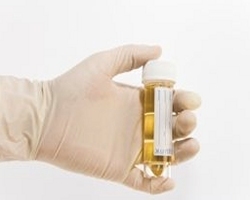 What many drivers are not aware of, however, is the possibility of a urine test. A urine test will most often be used when a driver is believed to be operating his or her vehicle under the influence of drugs. Law enforcement officers are not allowed to simply stop a motor vehicle to check for DUI because they feel like it. They must have probable cause to make the stop. This can include a witness contacting police and saying that they believe a driver is committing a DUI. It can also include an officer seeing a vehicle swerving on the road, making dangerous moves and violating New Jersey traffic laws. Once the stop is made, the officer will ask the driver for the relevant information and documentation. This will include the driver’s license, registration and proof of insurance. While this is happening, the officer will look for signals that the driver is under the influence. That could mean the odor of alcohol, slurred words and glassy eyes. In some circumstances, the driver isn’t under the influence of alcohol, but has been using drugs. The driver might then be asked to take field sobriety tests such as the Horizontal Gaze Nystagmus, Walk and Turn and One Leg Stand Test. If the driver has been using drugs and not alcohol, a breathalyzer test is not going to detect that. With alcohol, a driver who registers 0.08% or higher on the test will have committed the traffic violation of DWI and be arrested. For drugs, it will be necessary to give the driver a blood or urine test to detect what might be in the system. Drivers in New Jersey are not legally allowed to refuse to take a breath test. If they do, they will be charged with Refusal. 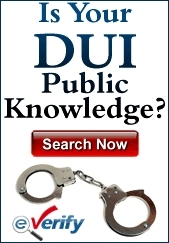 Penalties for a conviction of Refusal mimic those of a DWI. With blood and urine tests, there are no accompanying penalties for refusing to submit to it, but if the officers request it they will generally get their way. If the urine test is given to determine how much alcohol in the system, the driver must be aware that the concentration of alcohol in urine is higher than it is when the breath test is given. When it is given to test for drugs, the suspect might have used drugs in the previous days or weeks, but had not used immediately prior to operating a motor vehicle. This can be important for a defense attorney who is trying formulate a reason that the driver failed the test without having used anything during that day. Mistakes can be made when collecting a urine sample in much the same way they can be made when a driver is preparing to undergo a breathalyzer test. With a breathalyzer test, the officer is required to observe the driver for 20 uninterrupted minutes to ensure that nothing that could compromise the test’s validity happened. Examples of this include chewing gum, smoking a cigarette or throwing up. If the 20 minute rule is violated, the officer must restart the process. If this doesn’t happen, the results could be called into question. With a urine test, there are also rules the officer must follow. The suspect must be given privacy to provide the sample, but the officer is still required to ensure that the sample has been given by the suspect. A common defense for a positive urine test for drugs is the possibility of prior drug use still being in the system. Marijuana has a tendency to still show up on tests long after the suspect has used it. Another flaw in urine tests is that it can’t pinpoint the exact drugs that were ingested. There might be traces in the sample, but that won’t give a specific drug that was taken. For alcohol, the concentration aspect of the alcohol in relation to how much the driver had to drink is also a way to call the test into question. Defense attorneys will try to place the urine test into the context of reasonable doubt with the known potential inaccuracies. If there is enough reasonable doubt, the DWI charges can be dropped or the driver might be acquitted of the charges.